The Cabinet Committee on Infrastructure today approved the implementation of the project of four laning of Kiratpur – Ner Chowk section on NH 21 in Himachal Pradesh under NHDP Phase III on DBFOT basis in BOT (Toll) mode of delivery. The total project cost estimated will be Rs.2356.20 crore out of which Rs.537.37 crore will be for the land acquisition, rehabilitation, resettlement and pre-construction. The total length of the project will be 84.380 kms. The project, on completion, will reduce the time and cost of travel	for traffic, particularly heavy traffic, plying between Kiratpur and Ner Chowk. It will also increase the employment potential for the local labourers for the project activities. 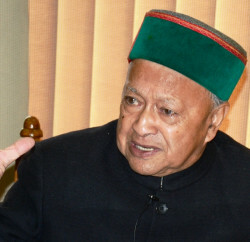 The main objective of the project is to expedite the improvement of infrastructure in Himachal Pradesh and also in reducing the time and cost of travel for traffic, particularly heavy traffic, plying between Kiratpur and Ner Chowk. The National Highway No. 21 is an important link connecting national capital and tourist destination of Manali in Himachal Pradesh. Also the NH 21 is a major link to Leh in Ladakh. 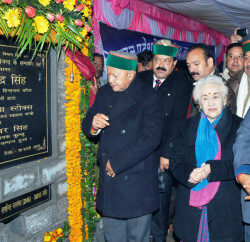 The project is covered in the districts of Rupnagar, Bilaspur and Manali in Himachal Pradesh.